Background/Info: Dive aka Dirk Ivens (The Klinik, Absolute Body Control, Sonar, Blok 57) is back with his legendary solo-project. 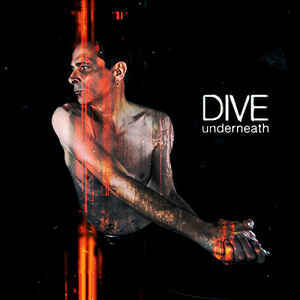 While many industrial lovers thought that Dive would never again release a new opus, “Underneath” comes to break the silence after 13 years. Ivens asked some good-old collaborators to join in for this new adventure. Ivan Iusco (Nightmare Lodge and Minus Habens owner) plus Rafael M. Espinosa (Geistform) contributed to this new work featuring 10 fresh songs. “Underneath” also is the first new studio album released on Out Of Line. Content: If you’re familiar with the electro-industrial sound of Dive this album will sound pretty familiar. “Underneath” is based on the good-old sound formula mixing electro-minimalism and harsh industrial rhythms. During the 90s Dive was a revolutionary artist although inspired by the industrial work of Esplendor Geometrico, and also influenced by legendary artists Suicide and Fad Gadget. “Underneath” doesn’t sound that different although it’s without a shadow of a doubt the most elaborated work in Dive’s discography. The duo Iuso – Espinosa sound like they’re simply part of Dive. This work is pure electro-minimalism carried by vintage sound treatments and the charismatic, spooky and sensual vocals of Dirk Ivens. + + + : I honestly was a bit skeptical when listening to this album, but Dive took me by surprise. 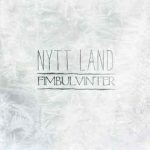 The album sounds dark, sometimes a bit tormented, always danceable through the heavy, industrial kicks and pure vintage-like with the magic of the electronic treatments. Time is passing by, but the vocals of Ivens have never been better. 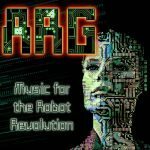 This work reveals numerous great songs and no doubt about it you here will find some new tracks that will enter into history. “Let Me In” is probably one of the most unusual Dive songs I’ve heard, but still one of the most sophisticated ones. It’s pure innovation and carried by brilliant, minimal sounds. – – – : Some tracks are maybe a little too short, but it always has been a kind of trademark of the artist. Among the 10 songs there’s just “A Man Came”, which can’t convince me. Conclusion: Dive is back with a new album and that’s already a major thing! The bad news for ‘young’ artists is that this electro veteran is showing them how you compose a creative, intelligent and efficient work! Best songs: “Let Me In”, “Sacred Skin”, “Far Away”, “Something”, “I Want You”.